Scoliosis is an abnormal curving of the spine. While all spines have a natural curve, patients with scoliosis have excessive spinal curving. Usually, scoliosis develops during the growth spurt before puberty, between the ages of 9 and 15. Although some cases are congenital, and some are the result of underlying neuromuscular conditions, such as cerebral palsy or muscular dystrophy, most cases of scoliosis are idiopathic, meaning their cause is unknown. Both girls and boys can develop scoliosis, but cases in females are more likely to require treatment. In some cases, scoliosis appears to be hereditary. Syndromic scoliosis which is caused by a primary disease or genetic condition. Examples include spinabifida, connective tissue disease such as Marfan syndrome, and genetic conditions such as dwarfism. Neuromuscular scoliosis is caused by primary conditions such as cerebral palsy or traumatic spinal cord injury. I wouldn't be walking today without him. Dr. Girardi has the most gentle bed side manor , takes his time to answer any question you have big or small and most of all LISTENS! I can't thank him enough ... he's guided me through 5 major Lumbar fusions so I can honestly say we have had a long history together. Hospital for Special Surgery and i were very lucky to have him because he is just pure genius in the O.R. Early intervention of scoliosis can achieve a few goals. First, the earlier that an accurate diagnosis is made, the more opportunity a patient may have for non-surgical treatment (bracing). The more a curve progresses, the more likely it is that surgical intervention will be necessary. A worsening spinal curve also presents daily physical challenges. 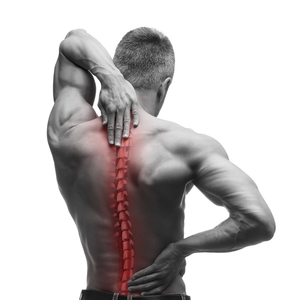 The patient with scoliosis may suffer back pain when they sit or stand for a period of time. Range of motion may become affected, and quality of life may degrade. Observation may be the initial course of action if a patient is still growing physically and has a milder curve. Observation may also occur if a patient has stopped growing and has a curve of no more than 45 degrees. This treatment protocol may coincide with physical therapy to reduce the physical symptoms of the spinal curvature. Non-surgical treatment typically involves bracing the back. This care may be appropriate for patients who are still growing and have a spinal curve between 25 and 45 degrees. A brace is not intended to correct the curve, but to keep it from progressing. Bracing is a customized treatment that is developed based on factors including the location of the curve, the number of curves, the flexibilty of the curve, and the condition of the vertebrae. 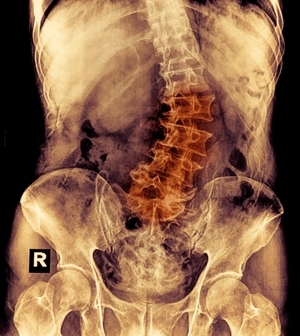 In most cases, the surgery performed to treat this condition is spinal fusion, during which two or more vertebrae are connected with bone grafts or artificial materials. During spinal fusion procedures, metal rods are installed to stabilize the area until the bones grow together. Although such surgery is normally done after the patient has finished growing, when the scoliosis is progressing at a dangerous rate, an adjustable rod may be inserted which can be lengthened every 6 months to accommodate the child's growth. Dr. Fedrico may recommend surgery if the spinal curve is greater than 50 degrees. Sometimes, surgery is appropriate for the correction of smaller curves that are causing persistent symptoms that do not improve with physical therapy and other modalities. Scoliosis surgery involves fusing certain vertebrae in the spine and stabilizing the straightened spine with appropriate fixtures until the bones heal together. Patients will come in for a follow-up visit approximately 10 to 14 days after surgery, at which point Dr. Girardi will check on the progress of recovery, answer questions, and discuss the next steps. Patients may be able to return to school, work, and light activity within four to six weeks of surgery. For several weeks, car rides are limited to doctor’s visits because road conditions can cause unintentional twists or bumps. Riding in a vehicle is an activity that is gradually cleared as recovery progresses. Patients will have a final x-ray taken between 6 and 12 months after scoliosis surgery to confirm full fusion of the spine. At this time, the patient may be completely released to return to normal activities. Patients should keep the following in mind during their recovery from surgery. Pain management: Initially, a patient will take prescribed pain medication to maintain comfort. Narcotic medication should be taken for limited durations, so patients are transitioned to over-the-counter or non-narcotic pharmaceuticals as quickly as possible without impeding recovery. This transition usually occurs at the 2 to 4-week mark after surgery. Incision care: Surgical incisions need to be kept clean and dry. It is possible for the patient to shower, but the incisions must be covered with a dressing that prevents the skin from getting too wet. After showering, the area around incisions should be patted dry. No powders, creams, or ointments should be used. Rest: Scoliosis surgery and pain medication can combine to create extreme fatigue. Outside of the recommended movement to prevent blood clots, patients who undergo scoliosis surgery will need plenty of rest. When the patient does get up to move around or use the bathroom, they will need assistance to prevent accidents and unnecessary movements. Patients should avoid all movements that involve bending, lifting, or twisting. What If Scoliosis Is Left Untreated? 90 percent of scoliosis cases do not require anything more than periodic monitoring of the spinal curvature. If an increase in spinal deformity is observed on x-rays, we discuss the potential for active treatment. Untreated scoliosis may get worse in some cases. Factors that predict this include the age of the patient and the extent of the curve at the time of diagnosis. Studies suggest that a child under the age of 10 who has a curve greater than 35 degrees is vulnerable to worsening if treatment is not conducted. When the diagnosis is made after a person has stopped growing, the likelihood of rapid progression in the spinal curve is very low. The exception is a curve greater than 50 degrees. This extent of curvature could progressively worsen by a few degrees each year if treatment is not obtained. The cost of scoliosis treatment varies based on factors including insurance coverage, diagnostic imaging, adaptive equipment such as a cane, and additional therapies. Surgical costs may include the surgeon’s fees, surgical facility fees, anesthesia, and medication costs. Our staff can provide assistance in understanding the costs related to your particular treatment plan.